Your contractor may make excuses for shoddy work or blame others to avoid responsibility. They may have trouble communicating with you or even disregard things you agreed on. Some may have difficulty controlling his crew or not supervise their work properly. Shoddy workmanship may be the prime reason you are dissatisfied. Your contractor might show up with the wrong tools for the job, claiming she doesn’t own the right ones. Delays are another common problem. Your contractor may suddenly disappear and refuse to answer phone calls or texts. Days, weeks, and even months can go by with no progress. Of course, legitimate reasons that your contractor can’t control can delay the project, including weather, material or labor shortages, or problems with permits. But they need to keep you informed and let you know when delays will be resolved. Permits are a tricky but necessary part of any project, and your contractor may try to make you responsible for procuring them. This is your contractor’s responsibility, not yours. They should know how to deal with the municipalities they work in – and yes, some can be a nightmare – and keep you informed every step of the way. If your contractor endangers your family or property through poor workmanship or carelessness, won’t adhere to OSHA standards, abuses alcohol or drugs while on site, or if household items go missing – all are reasons to call an immediate halt. But it may not be so easy to fire your contractor. It is important – before work begins – to ensure your contract includes termination clauses and spells out what defines a material breach. Never agree to work with someone who refuses to sign a contract. 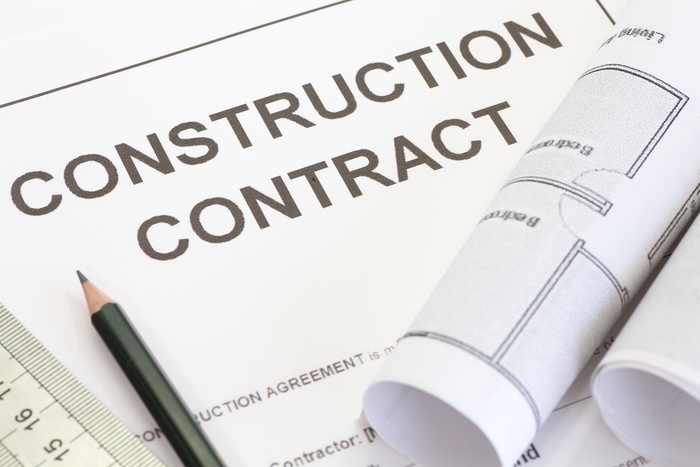 And while most of us rely on the contractor to supply their own contract, read it carefully and make sure your expectations are clearly defined. The agreement can also include stipulations for deviations from the budget or refusal to complete contracted parts of the project to satisfaction. As you witness issues, document them as they occur. You can either face your contractor in person, or send official letters, spelling out the issues. Give the contractor a chance to make things right. Sometimes you can try mediation – the Better Business Bureau offers mediation for free or for a nominal charge. But if the contractor is unwilling or unable to address the issues, you may have to pull the trigger. Since they may end up taking you to court – especially if there is a balance owing – consult your lawyer. Be aware that paying for a large chunk of the project up front can tempt your contractor to line up other projects, letting yours slide. Never let payments get ahead of the work, keep comprehensive records, and never pay in cash. Finally, don’t make a final payment until you are fully satisfied with the job. Sometimes, the outstanding balance is the only way you can force a contractor to complete the project. While we hope you never have to face this headache, knowing the issues and steps you can take – especially the critical importance of a contract – can ease a sticky situation. We want your bathroom renovations to go smoothly, so you have no regrets when you step inside that brand new steam shower and relax after the project is complete!